Politics is much different from finance and economics in that it is agenda driven. If you have an agenda in macroeconomics or investing, your return of/on capital will suffer. However, if you have an agenda in politics, you gain momentum the more you dig your heels into an idea. That’s why the national public is discussing buybacks again as if they are the devil even though they simply are a form of cash returned to investors. Buybacks are the target of some politicians and it doesn’t matter what the truth is. Before you stop reading this article, let us say upfront that there are issues with buybacks, such as when companies leverage themselves using debt so that management can take out lofty bonuses instead of investing capital back into the business. But in finance you cannot paint everything with a broad brush. There are nuances that are important to review. The distinction is that some, not all, companies sending capital back to shareholders in the form of buybacks are misappropriating capital. If a politician is against corporate profits, then they should just propose to tax them higher (not something we encourage). The concept of singling out buybacks and lately even dividends is a mistake. Firms return capital to shareholders after they invest in their businesses and make acquisitions. You can’t force a firm to make investments that aren’t there. It’s notable to point out that when firms make acquisitions, investors in the acquiring company and investment bankers make a lot of money. If the goal of eliminating buybacks is to tax the rich and corporations, it won’t work well. 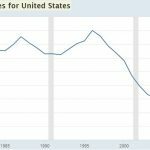 The reason why some politicians don’t want to raise corporate taxes directly to extreme levels is because they know it will cause businesses to lower hiring and investment. They want a perfect world where businesses only invest in paying workers more and growing employment. There is no way to do this other than encouraging more competition unlike many industries which have become monopolies/oligopolies or outright government ownership of firms. Businesses will never collectively forego working in the best interest of shareholders to hire new workers that won’t be productive. Taxing dividends and eliminating buybacks are a free lunch mirage. Only without critical thinking does this legislation make sense. The best way to get businesses to hire more workers is to lower the regulations that make it expensive to hire and fire people. On the one hand, buybacks are at a record high. On the other hand, it’s still odd timing to be looking for new laws to help workers when there is accelerating real wage growth for median workers. As you can see from the chart below, full time median real usual earnings growth was 2.9% in Q4 2018. That’s the highest growth rate since Q3 2009. Politicians just ignore the latest data because they can. Furthermore, buybacks are becoming more sustainable. As you can see from the chart below, less than 15% of buybacks are funded with debt. If you see a firm borrowing money to buyback stock and using the shares to reward management so that the share count doesn’t fall, consider selling the stock. There’s no need to complain about bad treatment of shareholders because in the free market, these firms won’t get away with it. There share prices will fall. More importantly, in the long-term their competitiveness will too, since they are not investing in innovation. Investors keenly look at executive compensation and avoid firms that don’t treat shareholders well. Some politically motivated folks are angry about executive compensation in general. The problem for them is in a mixed economy, the government can’t single out who they think should be taxed at a certain rate. Taxing all rich people at a very high rate lowers investment because their billions don’t sit in their mattresses. Let’s look at the latest data from the housing market. It’s not all great, but there seems to be some improvement brewing because mortgage rates have fallen and home price growth has slowed. In the February 1st weekly MBA Mortgage Applications report, the composite index fell 2.5% after falling 3%. The purchase index fell 5% after falling 2% and the refinance index rose 0.3% after falling 6%. Unadjusted purchase applications fell 2% year over year which is better than the previous week which had a 5% decline. The average 30 year mortgage rate fell 7 basis points to 4.69%. Housing demand is being helped by price cuts. This is simple supply and demand dynamics which appears to have been lost on some investors who have been panicking. The reason it works is the consumer is still strong. If the unemployment was skyrocketing, price cuts and falling rates wouldn’t help. According to Realtor.com, the share of home price cuts increased in January in 39 out of the 50 largest markets. The hotter the market, the larger the share of price cuts. There was a 16% increase in the number of homes in Las Vegas that had price cuts as it is the hottest housing market in the country. San Jose was up 9%, Seattle was up 8%, Orlando was up 6%, and Phoenix was up 5%. The map below shows the net migration of millennials from 2012 to 2017. As you can see, they left New York, Chicago, Miami, San Diego, and Los Angeles for Charlotte, Houston, Dallas, Portland, Denver, Austin, and Seattle. 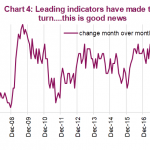 The Fannie Mae home purchase sentiment index showed improvement in January as you can see from the chart below. The home price purchase index was up 1.2 from December, but down 4.8 from the previous year. Those saying it is a good time to buy a house went up 4 points to 15% monthly, but fell 12 points yearly. Those saying it’s a good time to sell fell 1 point and 3 points monthly and yearly to 35%. Those expecting home prices to go up in the next year fell 1 point monthly and a whopping 22 points yearly to 30%. The net percentage of respondents that said mortgage rates will fall in the next year was -53%. They have been wrong recently because rates have been falling (still up 9 basis points from last year). Those confident they won’t lose their job in the next year fell 6% monthly to 73%. Those saying household income is significantly higher was up 8% and 11% monthly and yearly to 27%. 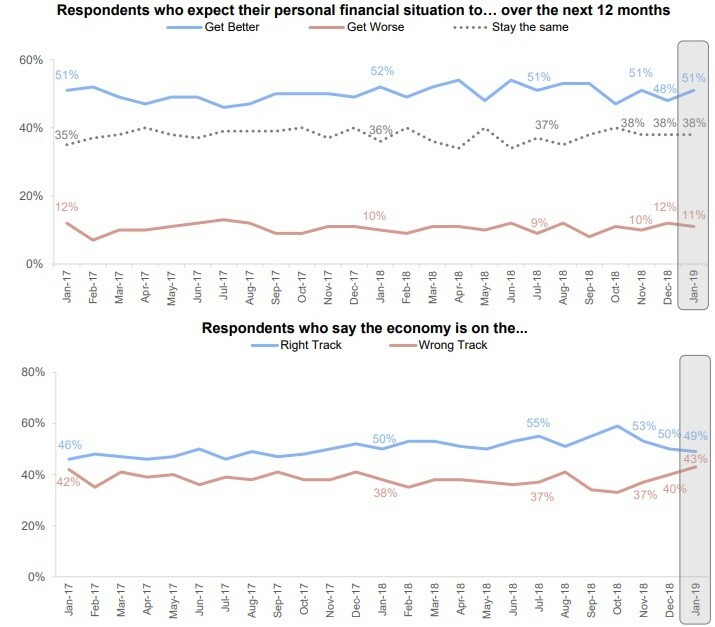 There seems to be a national malaise because of the government shutdown and trade war because the bottom chart shows more people think the economy is on the wrong track than recently even though the top chart shows people still expect their personal financial situation to improve. There isn’t a rationale to eliminate buybacks and dividends, but that doesn’t mean it won’t happen. It just means the policy won’t reach its goals. The housing market is stabilizing. It’s not a surprise the housing market is doing better since price cuts increased and interest rates fell. People still expect their personal financial situation to improve even though confidence in the economy has waned. 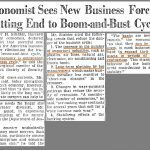 Are Stock Buybacks Good Or Bad? 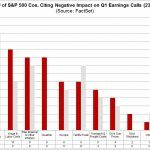 Do Stock Buybacks Deserve The Blame For Everything?